As we all know, plans often change and usually for a reason. This is the case for me and the BlogHer convention that is right around the corner. 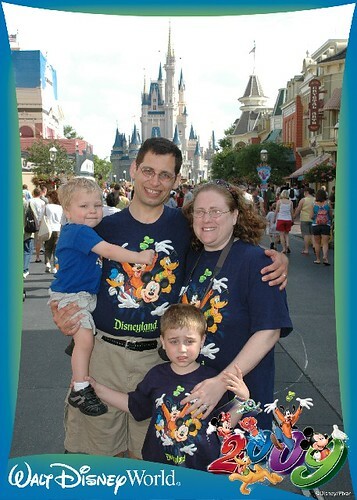 At first, we were going to take a family vacation to Chicago so I could attend BlogHer 2009. Then in December, our plans changed. I started to hear about the deals for Walt Disney World. We went into a travel agency on a whim and came out stunned. The price for a Disney vacation was just too good to pass up. 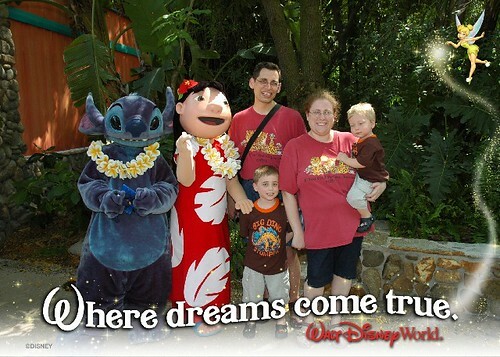 By New Years Eve, we had finally opted to book the trip to Walt Disney World for May. At that instant, I knew that my chances of going to BlogHer were slim to none. I was accepting of that since I knew it meant going on a magical family vacation to Orlando. 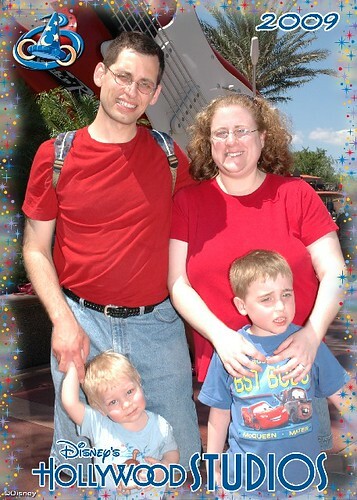 Our May vacation to Disney World was fabulous. 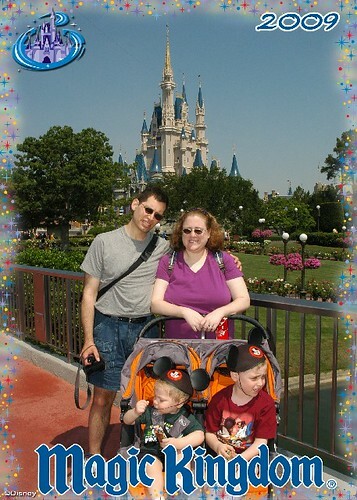 One of these days, I will finish blogging about the last few days of the trip, including JSL’s 2nd B-day at the Magic Kingdom. I often find myself thinking about those days and wishing I was back there. Life was good, we were carefree and the boys, my parents, JL and I were having the time of our lives together. Now I sit here sad and jealous. Everyone on Facebook, Twitter and the blogosphere are a buzz about BlogHer in Chicago. Friends from the interenet that I had hoped to meet are packing, checking off get togethers to meet at and swag that they are hoping to get. Meanwhile, I am going to be gearing up to have my in-laws visit for the first ever weekend stay. I keep reminding myself that although I can not be in Chicago, I was already in Orlando. Still, the memories of Disney World in May seem like distant memories at times. The boys have already grown so much, my kindergarten kid is going to first grade and the summer is already half over. I am sure that during these next few days I will often sit reading my blog posts about Disney, looking at the thousands of photos that we have from the trip, and dreaming of our next magical vacation. 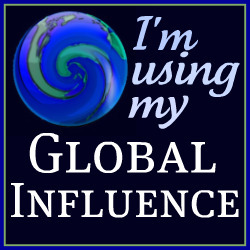 To all of my bloggy friends, have a safe and wonderful trip. Take lots of photos, Tweet often and know that I wish you a wonderful time in Chicago. Upstatemomof3’s last blog post..How Do You Love A Picture? 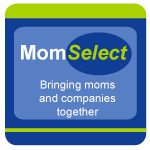 phyllis’s last blog post..Did I mention that I’m going to BlogHer? I’m reading lots of tweets and blog posts about Blogher and how it sounds like a fashion show instead of a bloggy meetup event. Honestly, if I have signed up to go, I would freak out with the dressing up part. Anyway, have a lovely time, despite the inlaw’s visiting. If I had to choose. I would choose Disney! It looks like you had a wonderful time and best of all, the kids got to go to Disney!! I always remember my Disney moments when I was little and they are still special. Sounds and looks like you made the right choice!! Family always comes first – and boy oh boy do they look happy!